Easy and bursting with flavor is exactly what I need after a long day at work. This to skillet supper is a sure winner! 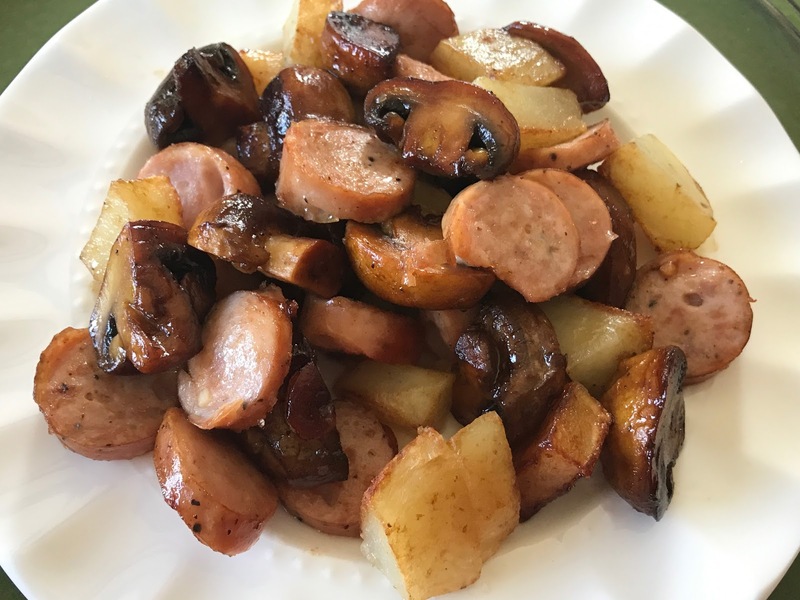 I have made this marinade for with mushrooms and just sautéed them up as a side but I decided to add potatoes and chicken sausage to the mix to make a complete meal and it is absolutely delicious! 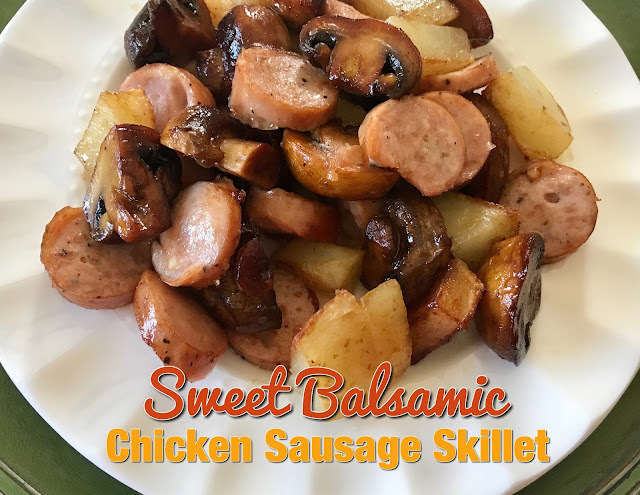 This does not take very many ingredients and I have found the chicken sausage to be so flavorful yet low-cal and low-fat and usually it's already cooked so basically all you have to do is heat it up and brown it a little. 3/4 cup olive oil + 2 Tbsp. 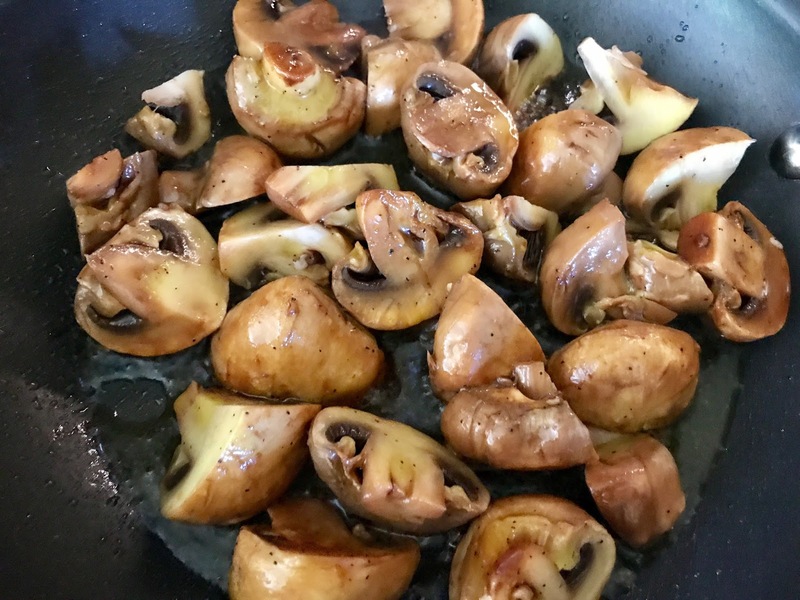 In a medium bowl, whisk together 3/4 cup oil, balsamic vinegar, brown sugar, salt and pepper, toss in mushrooms to coat and set aside. In a small skillet, cook chicken sausages til done and set aside to cool. 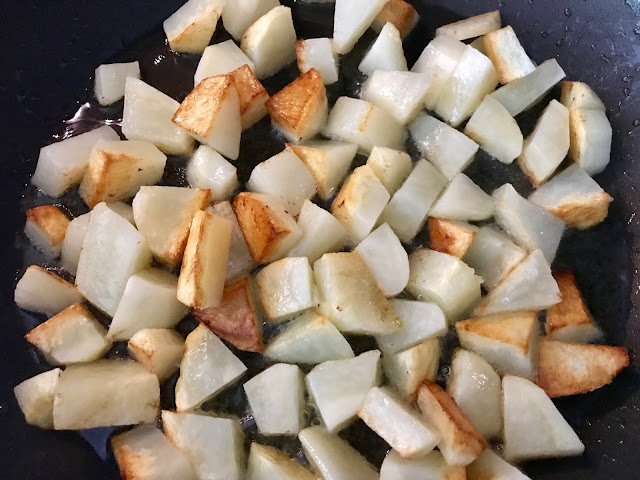 In a large skillet, add 2 Tbsp olive oil and heat to medium/high heat, then add potatoes and cook til tender on the inside, crisp on the outside. 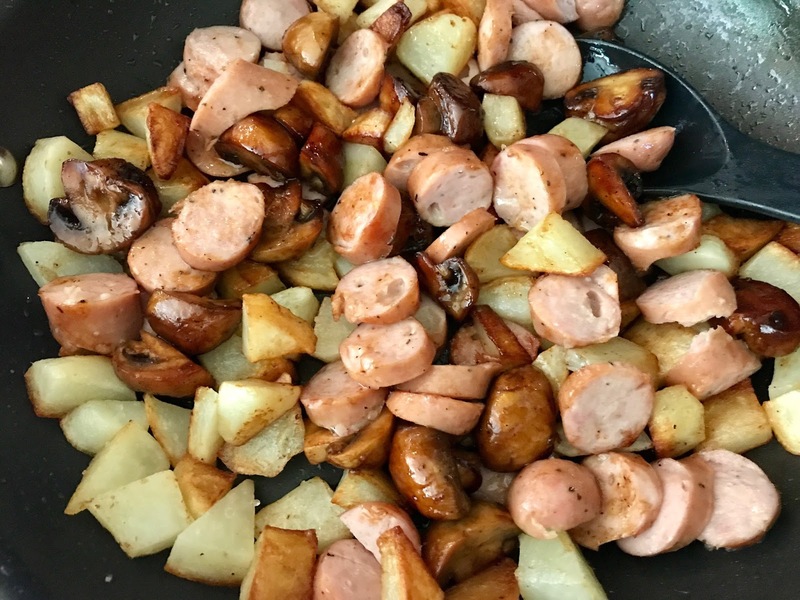 Slice the chicken sausage and add to potato skillet and keep in low. In the pan you cooked the sausage in, add the mushrooms and 1/3 cup of the marinade and sauté until done and sauce has started to evaporate; pour entire skillet into potato mixture and toss. Enjoy! You always share the best looking recipes! I will have to add this to my list! 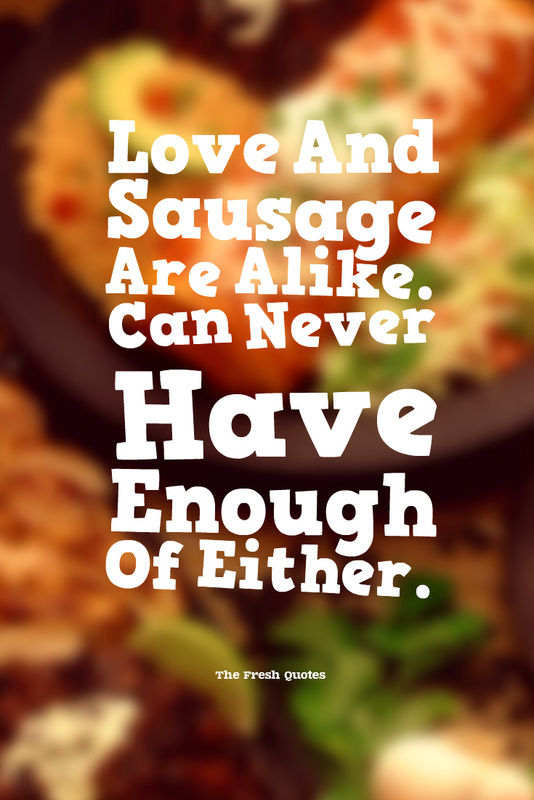 We love chicken sausage! You've created another winner my dear and I will be making it for sure. Have a fabulous Tuesday gorgeous! You are one amazing cook - it amazes me you have time to keep it all together with work, blogging and being the chef! This looks so delicious! It's been too long since I've thrown together a skillet meal. Thanks for the perfect recipe! This looks so good and so easy. I keep eyeballing the chicken sausage, but I have yet to pick some up wondering what to do with it. I think you just solved that! That looks so good, Andrea! What a flavorful dinner! I love skillet meals! This looks delish. Keith refuses to touch chicken sausage...he's such a toot! Mmmm this looks delicious and simple! Anything to make quickly in a skillet works for me! Yum yum!! I wish you could cook for me! I can just taste the tangyness of this. Sounds so yummy! I will be copying this one! Thank you for sharing! This looks amazing, babe- I want to make this immediately! Yum! I love meals like this where you can just add a few different ingredients together and before you know it you have a complete meal! It sounds like a great weeknight meal too because it's so quick! This looks fantastic ! Thanks for sharing ! The hubs loves anything that comes in a skillet! YUM! Oh yes ma'am! This sounds scrumptious. 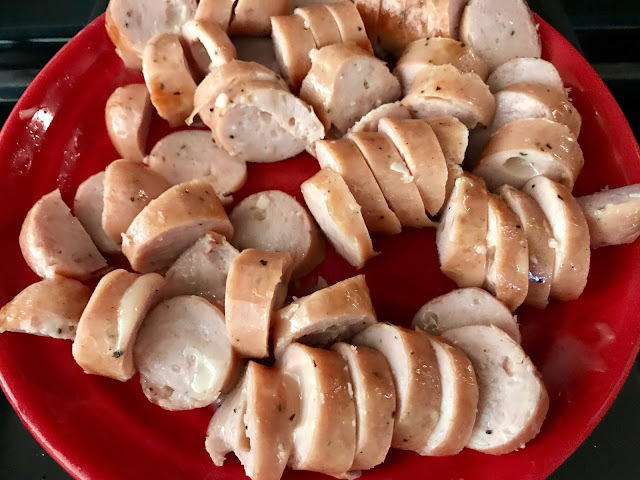 I pretty much love anything with sausage, and girl, I had no idea that you could get chicken sausage!! WHAT?! That is a complete game changer. I will be looking for that at Publix the next time I go. This sounds really good! Do you think peppers would be a good substitute for mushrooms? This sounds easy and delicious! Making this one for sure! This looks delicious. Going to have to try this one, and super easy after work! Definitely going to make this next week. So easy and all of my family would love it. total win! 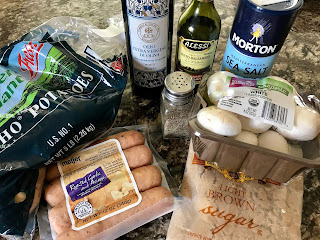 I love sausage (especially chicken - there are so many fun and creative chicken sausage flavors) and am always at a loss as to what to make with it. Quick and looking delish! But it makes me think of fall, which makes me sad, lol!! This sounds so delicious!!!! (Minus the mushrooms, gross! LOL) I am adding this to my list of stuff for next week's menu! 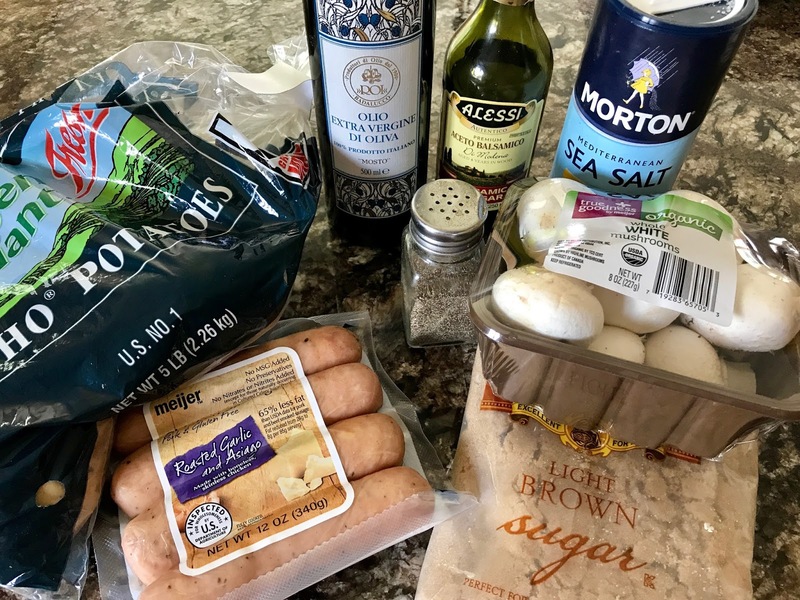 I bet using sausage saves a TON of time with this recipe. Thanks so much for sharing at the #happynowlinkup! 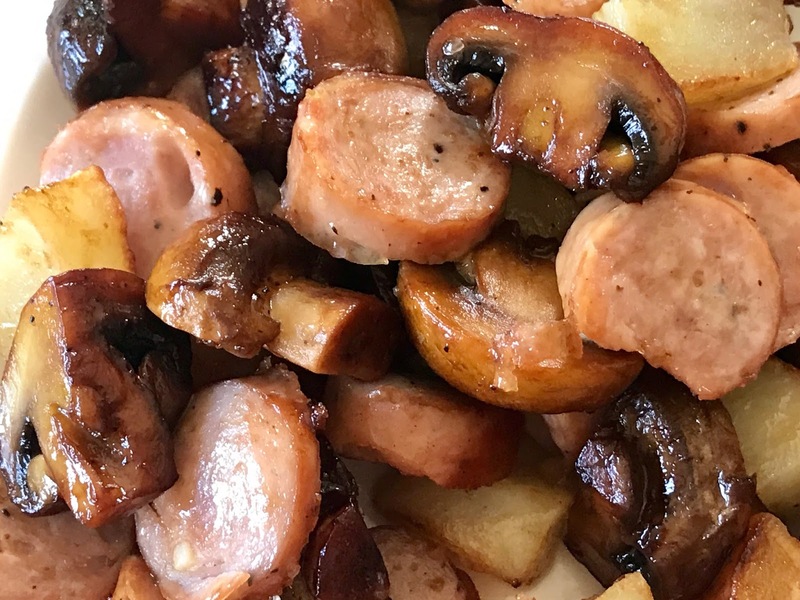 I have some chicken sausage from Costco I need to use up, so I'm pretty sure this will be making its way to my table very soon! This looks absolutely sensational! My kid is going to love it. This looks so good and I could eat it everyday! Thank you for sharing with us at Celebrate Your Story, and have a great weekend.